I had recently separated from my husband and was struggling with my new identity and who I was without him. I was dealing with the -uncertainty of this difficult situation and how to find peace and contentment in spite of the challenges I was facing. I had a big aha moment when I learned that the core of my concerns was love, grace, and compassion for myself. The more I learned how to treat myself this way, the more compassionate I was able to be towards others. The concepts and tools I received in the program really aligned with what I believe to be true about healing. I have done talk therapy many times and it has not been a catalyst for transformation like this program was. I feel it creates changes at an energy level and has long-lasting effects that really address root issues. It was not a cakewalk, but it did allow me to move through a pretty dark period, using the pain for spiritual transformation. I now feel more peaceful than I have felt in a long time. I worry less and trust more. There is tremendous hope in realizing the infinite strength and potential that resides within me; I just had to learn how to access it. This program taught me to do just that. I learned who I was and what I needed to love myself. When I enrolled in the Ignite Your Inner Sparkle coaching program I was struggling with understanding and dealing with my emotions without expressing them in explosive ways with my family and partner. I didn’t know how to create balance in my life and wanted to learn how to meditate, but I didn’t know how to even start. I wanted to understand who I was, what I needed to create happiness, and how to let go of burdens that I was carrying from my past. I needed to learn how to forgive and love myself and nourish my body, mind, and soul with positive, healthy, loving ways of thinking. I wanted to learn how to communicate better and use my voice to express myself appropriately. Through the program, I went through a lot of changes and learned who I was and what I needed in order to love myself. I found out the beliefs/values that held me back. I learned how to accept my emotions and communicate effectively about my needs. I learned how to say no without feeling guilty and how to establish boundaries. I established a meditation routine and was able to create healthy space for myself. I gained the tools that will help me discover, learn, and grow every day. I loved that Bev was able to listen and then ask questions that made me think things through for myself, without giving me the answers. Bev is a kind soul, with a positive attitude, and is very supportive, caring, open and available. She is an amazing resource with a wealth of information, which she provides at the right time. Thank you for giving me the tools that I needed to make the changes in my life in order to uncover so many things about who I am, why I do what I do, and how to create the life that I want for myself. The most influential tools in my life. I came to Bev to find myself, to find my purpose, to find the meaning of life, and most of all to learn how to love myself again. I was dealing with two main concerns: depression and loss of self. I had suffered from severe depression for a year and a half. I attended counselling appointments every two weeks, which only seemed to get me so far. I just couldn’t figure out why I hated myself so so much. I couldn’t understand why at 27 I still had no idea who I was, why I was so internally lost in life. Firstly, with meditation, I noticed an instant sense of calm, peace, and positivity. Within no time I noticed myself caring about me again: what I said, what I did, who I hung out with, what I ate, what I drank. I was harboring a lot of expectations, judgments, anger, resentment, and just plain hurt. As we went through the different sessions, and I completed my assignments I started to come to peace with relationships, how they were without trying to control them. Many of my relationships are stronger now, most of all the one with myself. I learned how to: Set healthy boundaries and not have people walk all over me. How to console myself when I’m having a rough time. How important it is to make time for myself. I now have an overall understanding of who I am and what I need to be happy. I liked Bev’s positivity, no matter how negatively I looked at a situation, she encouraged me to look at it in a way that was not bad or good but what I was to learn. I also respected Bev’s story; that she came from her own place of self-healing and self-love, that took her time and that she was still learning and growing every day. It made connecting so easy and real. Bev was well prepared, planned and truly understood the steps of healing and self-love. I was given some of the most influential tools that I could ever carry in my life, but they didn’t come easily or without a hell of a lot of work. Bev is kind, gentle and has a very influential positive power about her. I don’t know where I would be without finding Bev. Thank you for finally allowing me to fall in love with myself after all these years of disconnect. I feel like the person I was always meant to be. When I began working with Bev I felt completely lost. I didn’t know who I was anymore. I had no way of dealing with stress, my communication skills when faced with a confrontation were nearly non-existent. I needed help to get out of a pretty dark hole. I also turned to food to deal with or better yet avoid dealing with my emotions, stress, or anxiety. Bev helped me tremendously with all of these things. Soon after meeting with Bev and starting my meditation practice, I began to feel calmer, less anxious and better equipped to express myself during uncomfortable and potentially confrontational situations. Bev provided me with the tools that allowed me to recognize when I was stress eating or even before I got to it. She taught me about self-compassion and I started to realize just how hard I was on myself. I also learned how to discuss things with my husband on a more mature level. I just feel SO MUCH BETTER. Bev is one of the sweetest and most caring women I’ve ever met. She is knowledgeable and great to work with. I loved every minute of working with her. She changed my life and was always so positive and encouraging. Bev wants what’s best for people and is available and supportive through the whole process, not just when the meetings are scheduled. When I tell my friends and family about our work together and how much it has changed how I feel about myself and respond to others around me, I get emotional. I feel like I am the person I was always meant to be. I just never had the tools to stay calm and collected through stressful and hard times in order to actually be that person. So thank you, from the bottom of my heart. When I began working with Bev, there were times I was very unhappy and I really didn’t know why. I was anxious, confused and I felt scattered. I had many voices trying to tell me why I was unhappy, what I should be doing, what I could be doing better, etc. I also felt there was something missing in my life. Through my work with Bev, I became aware of some belief patterns I had been living with for years and also became more aware of my feelings. I learned so much about myself and re-discovered what is important to me. I’ve read many books describing how one’s thoughts can create one reality and I got it but if one doesn’t even realize their thoughts are self-destructive because they’ve always had them, how can they possibly change them? Bev was amazing at bringing those thoughts to the forefront. She did not once point them out to me; instead, she patiently encouraged me to discover them for myself by providing weekly questionnaires and various tools to work with. Bev is kind, loving and compassionate and is committed to helping women find themselves again and live their fullest life; however, she does not do the work for you. She provides the resources and tools to help you become who you are meant to be and who you have always been. I would absolutely recommend Bev to my family and friends. I found my voice and happiness. I worked with Bev for 6 sessions over a three-month period. During that time I feel that I was able to find myself and inner happiness. When I first started working with Bev, I felt so lost and wasn’t sure how to find myself again. During our time together, I found my voice, found happiness and learned that putting myself first isn’t selfish. Bev was able to relate to what I was feeling, with no judgment and helped me to feel relaxed. Bev is a caring and compassionate person and the experience was amazing and more than I expected. I feel now that I have the tools to continue the work. I have already recommended Bev to my friends. I wanted to thank Bev from the bottom of my heart for working with me. I started to feel more energized. When I began working with Bev in her 3-month Ignite Your Inner Sparkle program, I was feeling very sad and tired. I was experiencing low confidence, total exhaustion, poor health, headaches and lack of energy. I had no idea why this was happening to me! Bev gave me lots of resources to read/practice and held me accountable for my journey. Bev was able to immediately discover what my issues were and gave me tools that I can use forever and develop from here. I loved that Bev was organized, always prepared for our sessions and had great online tools to work with. Bev is very compassionate, understanding, flexible and a pleasure to work with! As a result of working with Bev, I first noticed that my headaches went away and I started to feel more energized. I haven’t been sick since we met. Then I started to realize where the low confidence and my feelings of ‘I am not enough or good enough’ came from. Now I can focus on dealing with it. I am grateful that the world of meditation was opened for me as it’s giving me so much energy and much needed time for myself. I am grateful I met Bev and would recommend her to anyone who is committed to making a change which starts from within. A deeper connection with my inner spirit. I signed up for The Kitchen Table series because I felt like there was a puzzle piece missing in my life. Having much to be grateful for, I wanted to give back in some way but wasn’t sure what that was. Through the series I became more aware and developed a deeper connection with my inner spirit. As I started to examine my beliefs and where they came from, I came to understand myself better. I feel more connected to me, with a deeper awareness of why I was resisting things or putting up barriers. This helped me to start making some changes in my life. I also began to be more compassionate and understanding with myself. I honestly didn’t expect the changes that I received. Just by showing up, a person would absorb a certain amount of positive energy and gain information, but because I put in the time to do the work, the transformation was greater than I imaged. The course was very well organized and Bev was an excellent facilitator. I was deeply grateful for the experience. I was feeling stuck in moving forward. I joined the series because I was dealing with some health challenges and I was feeling stuck in moving forward. The series was perfect timing for me as I was able to build greater resilience. I feel I can handle and deal with more and move forward in a positive way. Learning to pause and use different tools to deal with difficult situations has been helpful. I also feel more connection with family members. I’m trusting my intuition/gut more and sharing ideas with respect to that. I enjoyed the group, which helped me to open up and share my feelings. I appreciated learning new tools, doing different activities and sharing with others, which helped me to gain perspective and know we share many common feelings. The series is a great way to reflect on your life, where you’re at, what’s holding you back and to do that in a safe and supportive environment. I learned many tools that helped me change my thought process. When I began working with Bev and the other ladies as part of The Kitchen Table Series, I had wanted help fixing the inner me. I wanted to learn, grow and be happy again. I learned many tools that helped me change my thought process and an outlook for a new healing journey. I experienced compassion, honesty, openness, and trust. I learned that I am not alone in how I feel. I felt that I could be myself and not judged or criticized rather loved and guided. My thoughts and feelings were seen as genuine and accepted. I would definitely recommend this group coaching to family and friends. I am extremely grateful and honored to have been a part of this process with these beautiful women. Bev gave us the ingredients for transformation. I decided to join Bev and the other ladies as part of The Kitchen Table Series because I felt a little stuck and wanted some insight on moving forward. Every week, we had the opportunity to connect with like-minded women, which helped me understand we are all on a journey. Bev gave us the ingredients for transformation and we did the work to make it happen. I loved that there was a safe environment with a simple to follow schedule, with weekly homework and summary emails. If you go into it this series with an open mind and heart and have trust in the process, you will reap the rewards. I would absolutely recommend this program to my family and friends. Thank you, Bev, for the opportunity! I became aware of some beliefs that were holding me back. I joined The Kitchen Table Series with Bev as I am always looking for ways to improve my life, one area, in particular, love relationships. During the series, I became aware of some belief systems that were holding me back from attracting a relationship into my life. There was one exercise in particular that Bev had us do to identify underlying belief patterns and after completing the exercise, it instantly became clear to me as to why my belief systems were holding me back from finding the relationship I desired. The group setting allowed me to learn even more by sharing ideas and experiences. It was a positive, safe, fun, and truly transformational experience. Bev’s warm and caring nature made me feel as if my growth and transformation really mattered to her. Bev is kind, encouraging, supportive, and compassionate, and the tools she provided us each week were life-changing. She will even teach you how to be compassionate with yourself, which was something I really lacked the skills in doing. I would, without a doubt, recommend the program to any woman looking to make real changes in her life and doesn’t know where to begin. Bev will give you the skills and tools that you need to live the life you dreamed of living. I wanted to find more purpose in my life. I decided to participate in The Kitchen Table Series because of some relationship issues that I was having. I also wanted to find more purpose in my life. I realized that I can’t change my partner, but I can change myself through self-compassion and awareness. I loved how the information was broken down and simplified so I could understand it and knew how to make changes in my life and myself. I really enjoyed the meditation and the journaling. Bev created an environment of non-judgment, positive attitude, openness, wonderful energy, compassion, and friendliness. I have already recommended this session to my friends, as many of them have the same issues as me at this point in their lives. You have started me on a new path, which I’m excited about. Thank you SOOOO Much! It was an amazing and affirming experience for me. I wanted to participate in The Kitchen Table Series in order to acknowledge and support my life transitions. I wanted to be more accepting, easier, more gentle with self, strengthening my compassion and gratitude especially for and of self… helping me to focus more on my spiritual and physical/body connection… and through the process learn to become more open and light-hearted. The series helped by providing easy to use and accessible tools and resources on beliefs, self-compassion, gratitude, and forgiveness as well as the opportunity (in a safe, accepting and open environment) to share and learn from others… very powerful! I liked the many exercises, tools, and resources Bev shared with us. Bev was calm, graceful, accepting, and light-hearted, with an openness (and flexibility) to share and learn along with others. Bev has vast experience, and a sincere and heartfelt desire to support, encourage and empower women with a love of people. I would most definitely recommend the series to family and friends and have already shared my positive experience with The Kitchen Table Series as well as learning from and with Bev with members of my family and friends. I needed some tools to bring calm and balance to my days. I wanted to learn to meditate because something needed to change in my life. I knew I needed some tools to help bring calm and balance to my days. I had heard about meditation and the benefits, and so I did a Google search and found Bev’s website. I had a good feeling about her and I like the idea of having a private session. I appreciated the long session time as it gave Bev and me the opportunity to go over where I was at in life and what I hoped to accomplish. Bev is wonderful. She has such a calming presence and voice. I felt safe and secure and understood. Whatever your circumstance in life, age, or beliefs, meditation is a powerful tool to add more balance to your life. I already have told many people about my session. I’m excited to share with them what I have learned and gained from meditating. Like any lifestyle change, (eg. nutrition/exercise) meditation requires a commitment in order for it to become a habit. I’m looking forward to the life-long benefits that it will bring to my life. I took the Learn to Meditate Workshop with Bev because I have wanted to learn more about meditation for a while now because I know how much I would benefit from doing it. I was lucky to have an employer who values meditation and she set up the workshop for us. I appreciated the two 10-minute guided meditations. I have never felt like I had done a successful meditation until then. Bev is absolutely awesome. I feel that she connected with us, shared a part of herself and motivated me to learn. The workshop helps you understand how to meditate on a personal level so that you can feel the benefits right away. Yes, I would definitely recommend the workshop to family/friends and clients. Thank you so much, Bev, for the insight and guidance. The workshop was very empowering and inspiring. The workshop was a good blend of education and a variety of meditation methods. The Learn to Meditate Workshop showcased three different kinds of meditations which were very valuable. After practicing meditation one way for so long, it was eye-opening to be introduced to a new way to practice. 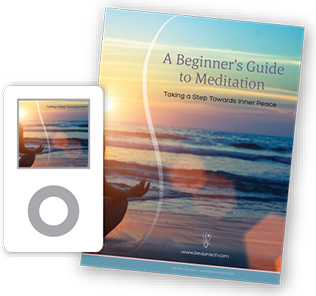 Bev provides the right amount of easily understandable, solid information about the benefits of meditation and creates a warm, supportive environment for clients to relax into the guided meditation introductions. The workshop was a good blend of education and a variety of meditation practices. I would recommend this workshop. Everyone should incorporate some kind of daily meditation, this is a gentle introduction to one option. Bev gave us the tools to start slowly and to make it simple. Bev is enthusiastic, and such an engaging Meditation Facilitator. Her passion just seems to radiate into the group. I found joining her class, with like-minded meditation beginners, we were all starting from scratch, and Bev gave us the tools to start slowly and to make it simple. Doing a daily practice did not come easy for me, but I found after attending the workshop, I had more confidence to keep working on my own. It really was a great starting point for me! Each day I am finding it easier, which makes me more enthusiastic to continue on a daily basis. Bev is a true believer in what she is passing along to her students, and I am so fortunate to have attended her class. Helped me improve my ability to cope with life stressors. I was not familiar with meditation until I went to one of Bev’s workshops. She did an excellent job of explaining how meditation works and the benefits of a daily practice. I feel this has helped me improve my ability to cope with life’s stressors. I would recommend Bev’s meditation workshop to anyone wanting to reduce stress and bring inner peace to your life. I am feeling more calm and positive. I am really enjoying the meditation techniques you taught me. I am finding it very helpful and I am feeling much calmer and positive than I was two weeks ago. I am very pleased with the way it is helping me cope with my anxiety as well as depression. I plan on continuing to meditate and never look back. Hi, Bev. Today was a HUGE day for me. My life was taken over by anxiety/panic attacks 22 years ago. Today, I took it back. I made it in an elevator up to the 11th floor to see my friend and business partner who was in a car accident 4 weeks ago today. She suffered severe brain damage and brain stem damage. All week I practiced going up and down the elevator as well as counting steps from the 11th floor to ground level when I was meditating. And I made it! Thank you so much for what you taught us in your course. I plan on continuing to meditate and never look back! The daily life stressors have been significantly reduced. Prior to taking this workshop, I really didn’t know much about meditation and mostly associated it with the hippie type free spirits and even a religious practice. How could sitting around thinking of nothing possibly be productive? Well, those old-fashioned beliefs couldn’t be further from the truth! Bev facilitates an extremely educational three-hour session and answers all your questions on how and why to meditate. I left the workshop feeling more confident in myself and know that the daily life stressors have been significantly reduced by the practice of meditation. Thank you, Bev, for introducing me to this practice. It is my new go-to medication when life gets crazy and I’m feeling stressed.